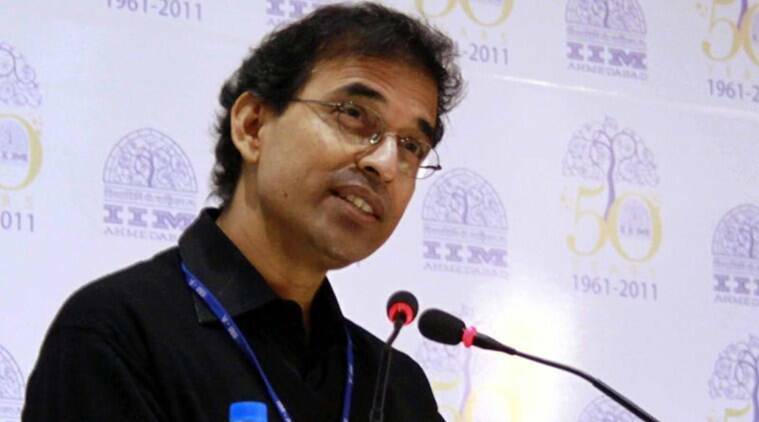 BCCI Secretary Anurag Thakur and IPL Chairman Rajeev Shukla refused to comment on Harsha Bhogle’s sudden ouster. The decision has come as a surprise for the voice of Indian cricket since he had conducted the Season 9 draft auction, featured in the league’s promotional videos, was in the commentators’ 51-day-long duty roster, and even had his flight booked by the production house. Though, Sony Network holds IPL’s telecast rights, it is the BCCI that controls the tournament’s production. BCCI Secretary Anurag Thakur and IPL Chairman Rajeev Shukla refused to comment on Bhogle’s sudden ouster. Other board members talked about an incident which occurred during India’s opening WorldT20 game at Nagpur last month, where Bhogle is reported to have had a heated exchange with a Vidharbha Cricket Association official. They felt this could be the reason for his last-minute ouster. Bhogle told The Sunday Express that he wasn’t aware about the reasons. “No one told me anything. I have not been formally told of the reason even now. All I have been told is ‘it is a BCCI management decision’,” said Bhogle, a respected voice in world cricket with 3.66 million Twitter followers. Of late, specifically during the WorldT20, Indian commentators have been part of several conversations on social media. In the aftermath of India’s last-ball “escape to victory” against Bangladesh in the crucial league game, actor Amitabh Bachchan, who was seen at the venue, had posted a tweet, asking commentators to focus more on Indian cricketers. “With all due respect, it would be really worthy of an Indian commentator to speak more about our players than others all the time,” he had tweeted. When his followers speculated about who he was referring to, Bachchan did not name the commentator. When pressed, Bachchan tweeted that he wasn’t referring to Sunil Gavaskar or Sanjay Manjrekar. “The assumption among some people was that he (Bachchan) was referring to me and while I don’t know if that is true, it did strike me that there seems to be a slight misconception about the role of a commentator in a telecast. I will try and clarify here,” Bhogle had reacted in a Facebook post. “Star Sports 1 is the world feed. That is the telecast and commentary that goes to everyone around the world. That includes passionate fans in Bangladesh, Pakistan, South Africa, Australia, England, the USA, everywhere. That broadcast must necessarily be an objective, balanced portrayal of events. Making that excessively India-centric means being unfair to other teams playing and to viewers from their countries who have the right to be as passionately involved as Indian supporters. And so, talking more about India, in a game like yesterday’s, would be letting down viewers in, say, Bangladesh,” he said. Besides, the social media comments, commentators have spoken, in whispered tones, about Indian players expressing their displeasure to them when criticised. Bhogle said he didn’t wish to speak on these issues, but he did talk about the Nagpur game where the Hindi and English commentary box was separated by the president’s enclosure. With the door of the VIP box shut, the bilingual commentators had to rush down several flights of stairs, and climb up again, after every stint. “Working on a tight deadline, because of running around, I was at times panting as I went on air. This was because of that shut door,” said Bhogle. Board officials said Bhogle had an angry exchange with a cricket official at the venue as he wanted him to open the door, and this reached the Nagpur-based BCCI president Shashank Manohar. Those in the know said this incident was the trigger that resulted in Bhogle losing out. “Even if it was the Nagpur incident, no one heard my part of the story,” said Bhogle.